FIRST and Only Native American Note! 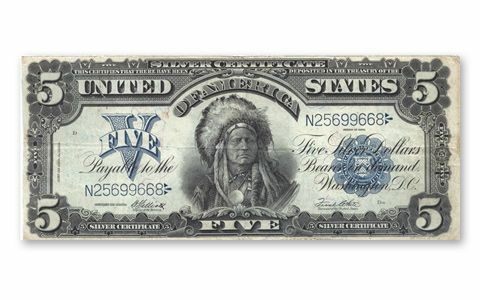 The powerful engraving of Running Antelope, Chief of the Oncpapa Sioux is featured on this large-sized $5 currency note from 1899. 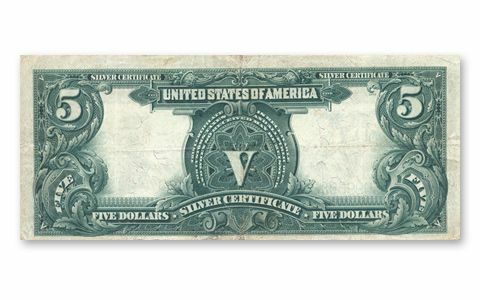 This is the first and only time a Native American image was used as the central motif on any U.S. paper currency. The central vignette of Oncpapa is highlighted by the bright blue seal and denomination. Certainly one of the most popular currency notes of all time, we have very few in Very Fine condition.